Below are several books that all relate to firefighter recruitment. If your looking to join the fire and rescue service then this selection of books is a must to give you that edge over the next candidate. This instantly downloadable 47-page practical e-book is a hands-on guide to develop your writing skills and help you get the very best from your application form. 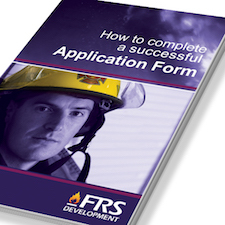 Most applicants fail to understand what the application form really requires. They make the same handful of mistakes which cost them their chance of a career as a firefighter. This practical e-book covers all the do’s and don’ts in detail and will guide you, step-by-step, to create an application to take you through to the next round. If you have any concerns about the numerical/ verbal reasoning/ problem solving/ risk recognition/ values or attitudes testing part of your firefighter selection process, this e-book is for you! With over 300 targeted questions and fully explained answers, this is the closest practice you can get before taking the tests for real. 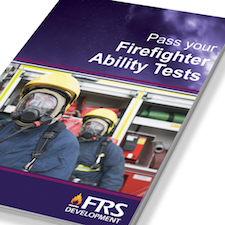 This is the only guide available which is uniquely designed around the firefighter ability and attitude tests; it ONLY covers the sort of questions you WILL have to pass to get to the next stage. Are you sure you have this selection stage covered? Take our tests to find out for sure. This best-selling e-book uses step-by-step exercises to progressively coach you towards delivering an outstanding firefighter interview performance. It doesn’t matter how relevant your experience is or how suited you are for the role if you don’t present evidence of this in the right way. For this sort of interview, there are very specific techniques you MUST use. 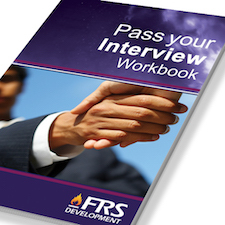 This hands-on guide will develop your understanding of what an interview answer needs to cover, how it needs to be structured and what you need to focus on. It will work with you to build up your interview answers in a logical way, leaving you confident and prepared, leaving no doubt in the minds of your selection panel that you are ready to become a firefighter. 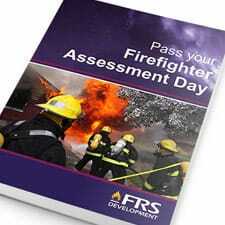 Learn everything you need to know to pass your Firefighter Selection Day. This instantly downloadable eBook uses time-efficient, step-by-step exercises and practical tasks to help you pass your firefighter assessment (even if it’s your first one). This unique eBook specifically deals with Fire & Rescue Service assessment exercises, guiding you to succeed through in-depth information, useful strategies, easy-to-remember formulas and straightforward explanations.